Search engine optimization isn't only about keywords anymore. It involves many areas of expertise that oftentimes require an army of SEO experts on your team. In other cases, you're the one wearing all the hats. In either case, we've broken down SEO into bite-sized pieces—beginning with these four major elements you need to improve your website rankings. We know—content seems like an obvious SEO factor to consider. But there a lot more layers than you might think. Naturally, search engines (and your visitors) are interested in what you have to say. To begin with, let's take a look at what Google and the like are interested in reading: meta content. Well-written and optimized meta content drives organic traffic to your pages by enticing users to click through to your site when they see your page in search results. Whenever you write a new piece of content, checking meta titles and descriptions off the to-do list is a must. Meta descriptions give users a snippet summary of your site. It's important to note that Google recently changed their algorithm to give you more real estate for meta descriptions: Instead of 165 characters, you can now write up to around 320 characters without the risk of it being cut off in search results. But remember that search engines not only penalize your website ranking for missing meta content—you can also be penalized for meta content that is too long, too short, or duplicate across multiple pages. We recommend unique meta content that hits a sweet spot of 230-300, but always do what's best for your SEO strategy. Walt Disney World's meta title is as straightforward as it can get: You know the name and location instantly. The meta description falls on the shorter side, but they've managed to use the keyword phrase "Disney World" two times and include a call-to-action in 160 characters. And, well, they're Walt Disney World. High-quality and engaging content doesn't just matter to your visitors. Google is far beyond the days of only counting keywords on a page. Current, concise, and easy-to-read website content is a vital ingredient of SEO—and be sure your pages are free of broken links. Readability is about making your content clear and easy to understand. Not only is it a hidden gem of SEO success, it also increases the accessibility of website content for all visitors. If sentences or too long or words are too complex for your target audience, not only is the content lost on your readers, but Google picks up on these things too. We've all visited a web page that lived up to its fullest potential in a past life...but now some information is outdated. You immediately bounce off the page and find something more relevant. As a consequence, that web page's ranking will continue to fall. Even worse for you as a reader, you mistake fiction for fact. In order to stay relevant in the SEO game, updating content frequently is crucial. Keeping a content inventory and scheduling regular updates to page content and media files will make all the difference not only to your web ranking, but also to your visitors. Broken links and misspellings on your website can harm your website traffic and brand reputation—and your SEO rankings. Enlist the help of an automated tool like Siteimprove Content and Accessibility to automatically catch broken links, links to dead-ends or unsafe domains, and embarrassing misspellings. Your visitors and website rankings will thank you. Without a solid technical backdrop on your website, the rest of your SEO efforts are moot. Indexability has everything to do with how well those mighty search engine bots can navigate your site. One of the top issues to tackle is duplicate content. It's common knowledge that duplicate content is an SEO no-go, but sometimes you can't avoid it. However, you can tell Google not to crawl those pages. For instance, you might have a Google AdWords landing page set up as part of a marketing campaign. But if the content of that page largely reflects a page on your normal website, you can manage that duplicate content with canonical tags. That way, you can still focus on improving your ranking on those pages with longer life spans. Another way to improve your website's indexability is by making sure you have as few 301 redirects as possible. A 301 redirect is used when a user or search engine lands on a URL with content that has been permanently moved to a new URL. The user is then redirected to the correct page. While it may be a good temporary solution, for instance during a website redesign, redirects should be avoided as often as possible. They slow down page load times and lead to loss of link equity. Instead of relying on them in the long-term, make a plan and use an automated tool like Siteimprove for locating and updating these URLs across your website. Having a sitemap (an XML file containing a list of URLs on your site) helps search engines understand your website structure. It allows you to specify which pages the search engines should prioritize when they crawl your site. If you have a particularly large site, be sure your developer uses a sitemap index file to reference multiple sitemaps, each of which can contain up to 50,000 URLs and can be up to 10MB. As best practice, these should be compressed in .gz format. Search engines are also interested in the quality of technical SEO elements on your site. Linking to unsafe domains is detrimental for many reasons, and search engines recognize that. Google recently made a push for a more secure internet by alerting users when they're using HTTP websites—aka websites that are not HTTPS secure. Avoid sending your visitors to unsafe domains for their own privacy and to keep improving your website ranking. Cascading Style Sheets (CSS) are applied to web documents to define how they should look and be displayed in the browser. CSS validation is the process of checking that your CSS is properly formatted by W3C (World Wide Web Consortium) standards. While it's not a ranking factor in search engine algorithms, there are certainly indirect SEO benefits to ensuring that your CSS is error-free. Properly validated code means your website is accessible and more likely to behave as expected across different browsers and platforms. This provides a better user experience and makes it easier for search engines to read your site. How fast and responsive your server affects your site's desktop speed and page load times, which are crucial to improving your website ranking and the user experience. Studies have shown that users expect a web page to load in two seconds or less. The longer a page takes to load, the more likely your visitors will abandon the page. Over time, a high rate of page abandonment signals to search engines that your site isn't providing what users need. A slow page load time also means that search engine crawlers crawl fewer pages on your site, which means fewer pages get indexed. Remember to compress images, reduce your number of 301 redirects, and enable browser caching so returning visitors don't have to re-download all page components the next time. We've all stumbled upon the infamous 404 page. This happens when a requested page can't be found, which is bad for the user and your website ranking. When a user encounters a 404 page and immediately bounces back to the search engine, this can signal that visitors aren't finding what they need on your site, which can hurt your rankings. Ensuring that your server returns the correct status code and minimizing errors can mitigate the negative impact on your SEO. 404 pages are bound to happen, but work with your content team to write something clever. At the very least, you'll give them a laugh—at best, they'll still want to click around and find what they were looking for in the first place. The way your visitors experience your website is hugely important. Since SEO and UX go hand-in-hand—alongside accessibility—keeping this in mind has the potential to massively improve your website ranking. Search engines look at how effectively embedded information like links and images are used to enhance the user experience. Rule of thumb: Pages you want to rank for should not live beyond a page depth of five. Page depth is the number of clicks it takes a visitor to reach a given page from your home page, which has a depth of one. A page linked from the home page has a depth of two, and pages linked from there have a depth of three—so on and so forth. Pages with a depth beyond five won't be crawled as often–or at all—by search engines, because they're harder to find. Pages this deep are more likely to have lower rankings, so when identifying pages you want to rank for in search results, consider how long it takes someone to navigate there organically on your site. Otherwise, be particular about how you link to these pages internally. Search engines use alt attributes (also known as "alt tags" or "alt texts") to determine what an image depicts and what purpose it serves on a page. Having an alt attribute to describe an image is beneficial not only for SEO, but also for visually impaired visitors who rely on screen readers to describe the contents of a page. Here are two examples of alternative text options within a CMS. The left example's alt text is "Decorative image" since it doesn't necessarily add context to the page, but serves as a design element. The right example's alt text describes the image in depth, utilizing the keyword phrase this blog post focuses on. Your CMS should always allow you to add an alt attribute to images. Make that a must-do whenever you add a new image to your website, writing short but descriptive texts that convey exactly what the image depicts. Include target keywords found elsewhere on the page, but only where it makes sense—avoid keyword stuffing. There's no denying that we are becoming a mobile-first society. Optimizing your website for mobile responsiveness is mission critical, especially for B2C companies and e-commerce sites. An increase of just two seconds when it comes to mobile page load speed causes user bounce rates to go up by 32%. Not only does slow mobile speed hurt your conversion rates, it will cause search engines to rank your page lower in search results. For starters, optimize your mobile website for a better user experience and better website rankings by compressing images, reducing the number of redirects, and using HTML5 instead of Flash—among many other things. You should also consider exploring the world of Progressive Web Apps, which will probably take over typical mobile websites in the near future. Font sizes on the majority of websites vary between 15 and 18 pixels. Anything less becomes difficult to read, especially on mobile devices. Visually impaired and older users may have even more difficulty reading small fonts. If mobile users can't read your content, they probably won't stick around on your website very long. The best way to ensure that your font size is readable on mobile devices is to incorporate responsive design into your CSS file. You should configure a viewport to control how your website scales on different mobile devices. Once you've done that, use a baseline font of 16 pixels and adjust according to your brand's font, and be sure spacing is at least 1.2 times the font size. A touchscreen-friendly site needs touchscreen-friendly tap targets. Tap targets are the elements on your site that users interact with using their fingers, like buttons, links, and forms. When tap targets are too small or close to each other, this increases the likelihood that a user will hit a button or link that wasn't the one they intended to click on. The result: Mobile users get frustrated and won't want to use your site. First, configure your viewport so that you can control the window size that your site displays in on mobile devices. If the viewport is not configured, your tap targets will not scale well. Make sure that the tap targets your users will be using the most (such as menus, call-to-action buttons, important links) are at least 48 CSS pixels tall/wide. We know the SEO puzzle is a big one, but by approaching it with these four major pieces in mind, you can start tackling those everyday SEO challenges and improving your rankings. 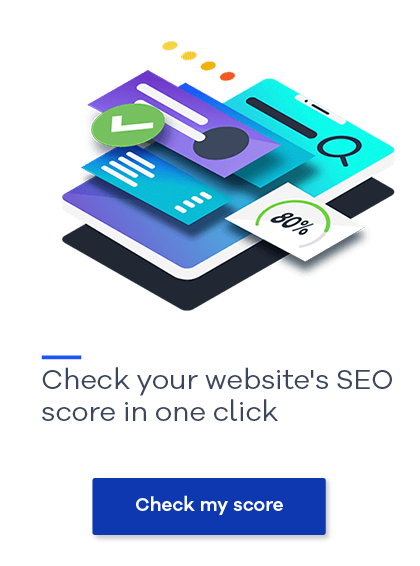 Looking for an SEO tool to help optimize the technical, content, UX, and mobile performance of your website? Siteimprove SEO is a brand new way to work with SEO. Prioritized lists of recommendations, competitor analysis, keyword monitoring, and more help you grow traffic and seamlessly create content from a single place.